Most homeowners don’t think about their chimney on a daily basis, especially not their chimney roof flashing. It is just another structure, sitting outside, strong and steady. 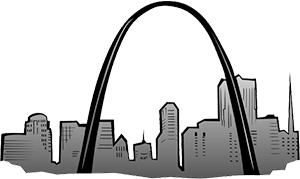 It weathers the blistering heat of St. Louis summers and the blustery cold. It stands exposed in rain, and snow and hail; all of which can have deteriorating effects on the structure. A chimney can be made up of a variety of materials including stone, mortar, concrete, brick, flue tile, steel, cast iron and sheet metal. Water penetration is the single most damaging factor to your chimney, which makes chimney waterproofing crucial to the longevity of your home! Rusted or discolored decorative fireplace accessories, fittings and glass doors. 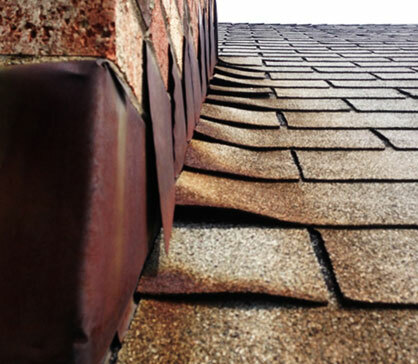 In order to prevent these types of damages it is important to ensure your chimney roof flashing is in proper working order with yearly inspections. It is also a good idea to have these spots inspected after a major wind or hail storm, which can cause additional damage outside of regular wear and tear. An inspection will ensure that all of the joints, caps and flashings are properly waterproofed in addition to an inspection of the chimney structure itself. If it is determined that there is damage to the structure, you can trust Clean Sweep Chimney to repair your chimney and get it watertight. We can repair or replace damaged chimney crowns and caps, repair deteriorated mortar joints and replace leaky chimney flashings, all of which will keep your chimney system dry and safe. Chimney Sweep has been repairing chimneys since 1977. We have the expertise to fix any problem, big or small. If the water damage is extensive we can even rebuild the chimney completely! If you suspect a leak or see tell-tale signs of water in your home call us today. We will get your chimney watertight and repair any chimney related damage to get your home back to new.